June’s quite possibly our favourite month in Lake Como – the climate tends to be deliciously balmy and the summer holiday crowds are yet to make their mark. 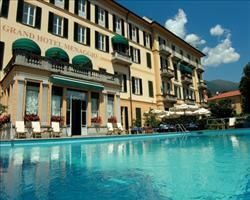 Summer’s finally here when we reach June in Lake Como, and the weather’s usually wonderfully warm with average highs of 24°C. You’ll still want an extra layer for the evenings when it drops to 15°C or so, but the good news is that daylight hours are increasing (15-16 hours). Water-wise, the lake tends to be around 21°C for those who like a brisk swim (failing that, the swimming pools around the lake should be warmer!). This is prime time for windsurfing and kitesurfing, with the best breezes to the north. In terms of rain, an average of 180mm falls over 10 days of the month. The lake’s oldest event – the Festival of San Giovanni – takes place on June 24th (6 months before the birth of Christ) and celebrates age old rituals, local legends and lake history. Boats gather all around the island of Comacina for a huge firework display, and the next day sees a solemn procession featuring traditional dress. A newer entry on the calendar is the Wow music festival in Como, which usually happens at the end of June and brings indie, hip hop and electro performers to a scenic spot overlooking the Volta Temple. Lake Como loves a food festival, and this month usually sees Mennagio’s Fish Festival to honour lake fish and local specialities. 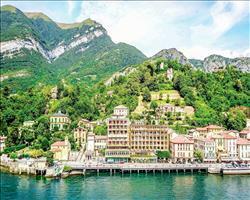 The same goes for classical music events, and the Lake Como International Music Festival usually runs through June, hosting concerts in various venues around the lake – grand villas and palazzos, libraries, colourful gardens, historic chapels and more. 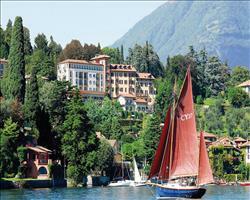 There will almost certainly be an art exhibition or three in Bellagio, which usually hosts the Festival Di Bellagio in June too, with orchestral events in lakeside piazzas, villas and churches. 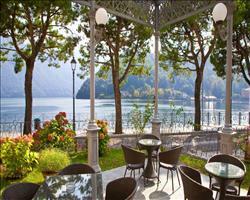 For an idea of what other months can be like in Lake Como, check out our pages on May, July, August, September and October. 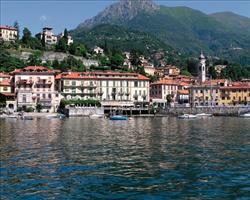 We also have guides to the individual villages, including Bellagio, Mennagio, Lenno, Tremezzo and Cadenabbia.